Readers can't help but get entangled in this USA Today bestselling series. After a local man dies during a scuba dive, Izzy discovers he was actually murdered and is connected to the abandoned car seat. Now it’s up to the Seaside Knitters to investigate. With their careful attention to patterns—and their fierce commitment to bringing Izzy and Sam’s baby into a peaceful town—they’re determined to knit this mystery together. Sally Goldenbaum is a sometime philosophy teacher, a knitter, and an editor, and the USA Today bestselling author of more than thirty novels. 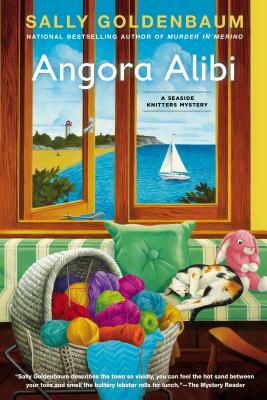 Sally became more serious about knitting with the birth of her first grandchild and the creation of the Seaside Knitters mystery series. Her fictional knitting friends are teaching her the intricacies of women’s friendship, the mysteries of small-town living, and the very best way to pick up dropped stitches on a lacy knit shawl.